Rethink and redesign a better experience for people checking the Metro North Rail schedule through MTA website. This was a design challenge. 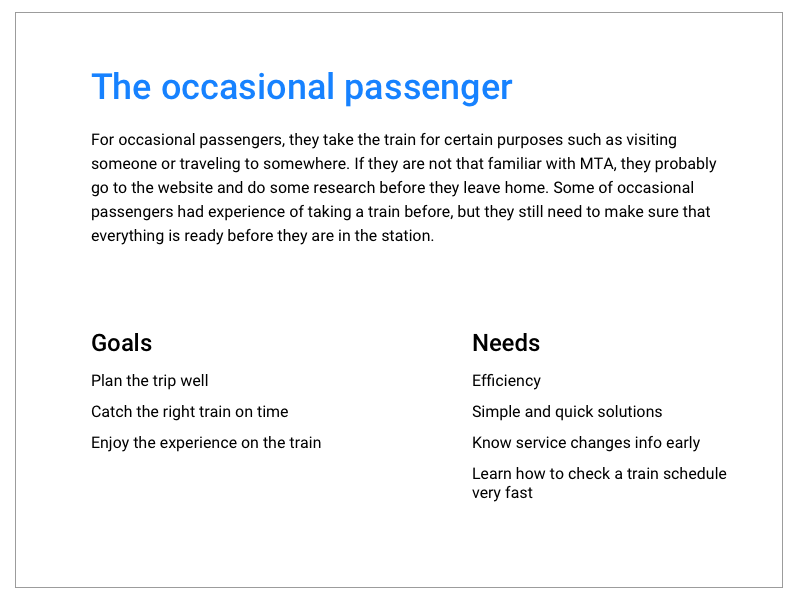 The goal is to redesign a new experience of checking Metro North Rail schedule on MTA website with using Google Material design language. I conducted an online survey to help me understand current situation and the problem space. Then I went to Grand Central Terminal, asking 10 people to help me fill out the paper surveys and chatting with them. Though this, I familiarized the process of checking a train schedule, tools people use, frequency of using and their feelings and concerns. There are two types of passengers: the everyday passenger and the occasional passenger. In general, the experience of checking a train schedule is not that hard, but it can be better! Gathering the results from surveys and interviews, I created a visualization of passengers checking the MNR schedule on the current website. 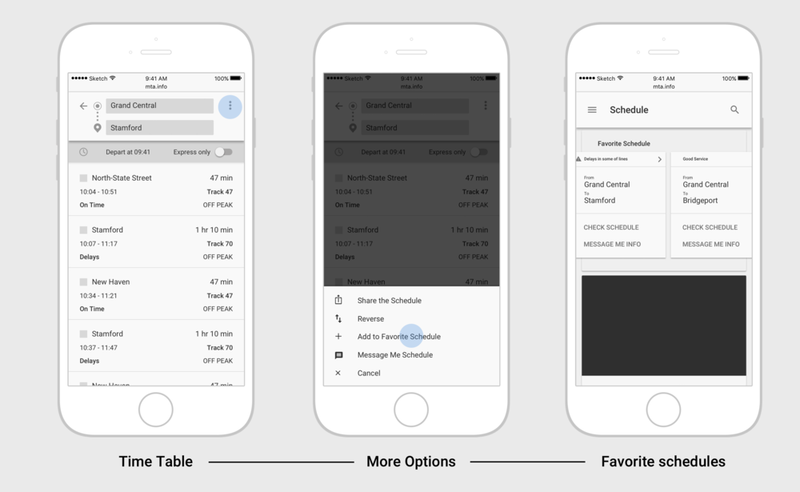 My next step was to visualize how my solution will work into wireframes. Compare to the current MTA website, the main change in my redesign is the way users check a train schedule. Before I went further on details, I also created an alternative version of selecting the trip info. Then I brought these two versions to a few people, watching them fumble through the website to see which version performs better. As these test users said, V1 looked similar to the current website, but it still needed many typing and checking from the map. They thought V2 was very easy to use and worked better than the current website.